On any given floor, sink drains are the highest drains in a building's plumbing system. So when water is backing up into them, and not into the tub or toilet, then the problem is often directly related to the sink. When water first backs up into the bathtub, or the toilet overflows, there is a greater likelihood the problem is related to a main plumbing component such as the main drain line, septic system or municipal drain line. 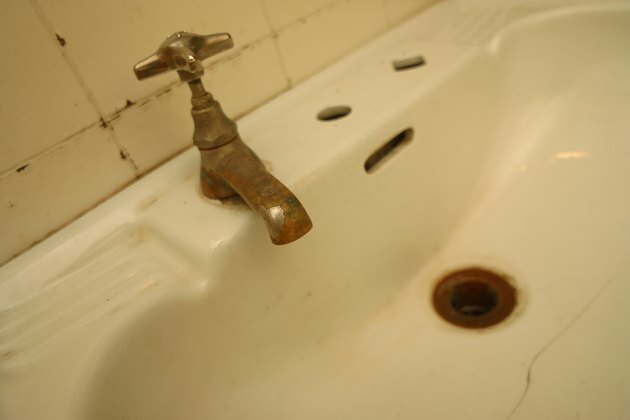 Sink drain problems have some common causes. 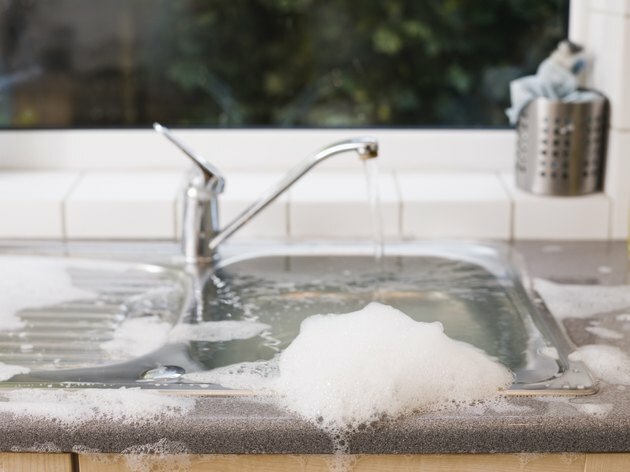 Kitchen sink drains often have water coming up into the sink from the dishwasher when it is discharging water. Kitchen sink drains often have water coming up into the sink from the dishwasher when it is discharging water. Sometimes the water drain lines beyond the dishwasher discharge are restricted by gunk. Over time, pipes will develop a buildup on the inside from accumulated grease, food and hair. As the opening gets narrower, water does not flow as quickly through the pipe. 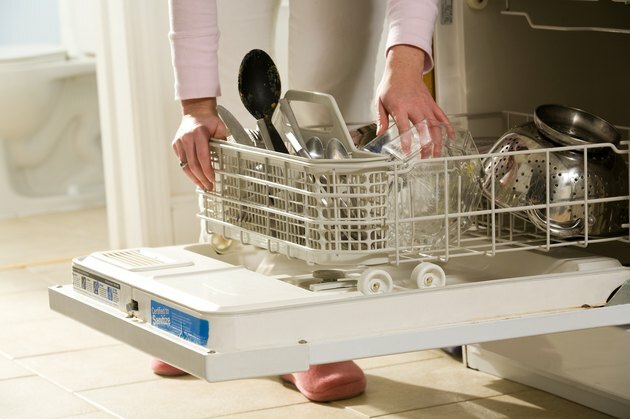 Dishwashers put out a large quantity of water in a short time, so the pipes may no longer be able to handle the volume. This is particularly true in cases where the dishwasher has been recently replaced. The new washer will have a stronger pump. Eventually the trap no longer allows enough water to flow out of the sink, and it begins to back up into the sink. The traps located at each fixture accumulate buildup. Traps provide the valuable service of keeping sewer gas out of the building. A certain amount of water is always present in them, and that stops any sewer gas from making its way up and out of the sink drain. Tub and bathroom sink traps in particular are prone to buildups from hair. As the hair accumulates in the trap, it starts to restrict the flow of water. Soap that washes down over the hairball coats the hair and begins to attract more hair and dirt. Eventually the trap no longer allows enough water to flow out of the sink, and it begins to back up into the sink. All sinks and other fixtures in a building eventually end up draining into a master drain line. This line connects to a septic system or to the municipal sewer line. The accumulated sludge, dirt, hair, grease and anything else that goes down the building's drains end up in this line. Main drains are many times pitched too steeply, and that results in the solids being left behind as the water rushes onward. In other situations, the accumulated junk that washes into the drain line builds up, coats the inside of the pipe, and starts to restrict the water flow. When the restriction gets bad enough, water will back up into the building fixtures. A clogged or partially blocked vent pipe will cause the sink to drain slowly, or not at all. Each group of plumbing fixtures requires venting. The venting allows the system to draw in air that is needed to keep the plumbing lines flowing smoothly and quickly. Sometimes bugs, birds, squirrels and chipmunks will build nests in the vent where it comes through the roof. 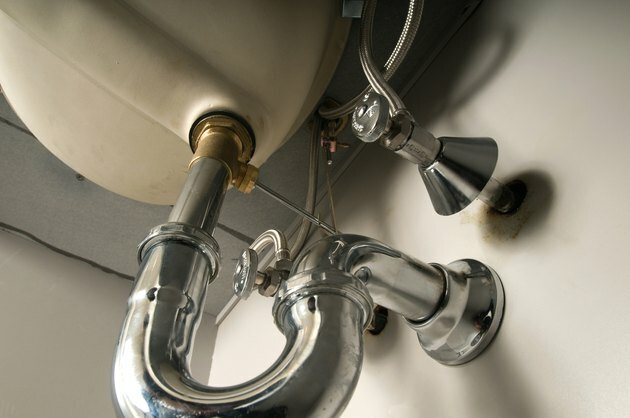 A clogged or partially blocked vent pipe will cause the sink to drain slowly, or not at all.